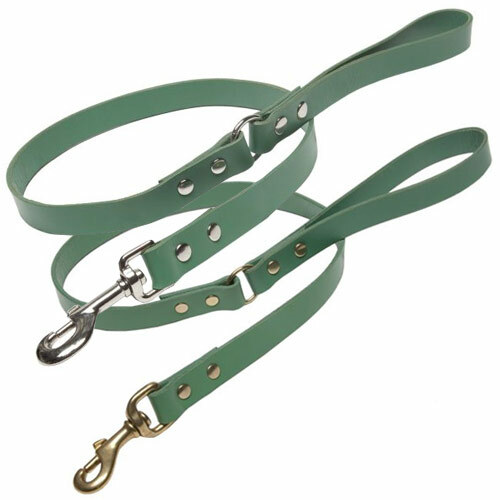 Stunning jade green leather dog lead which will wear in beautifully because the leather is dyed throughout. This means the colour will not scratch off. The leather and the beautiful green colour will age and deepen over the years. Creature Clothes dog accessories are designed and handmade at their workshop in Suffolk. 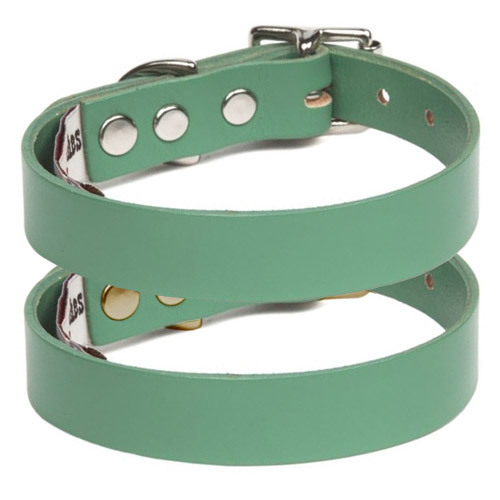 Their leather dog products use only the finest Spanish saddle leather. Choose from quality nickel or brass furniture. 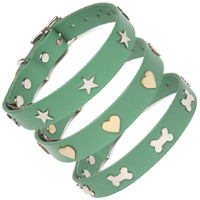 A matching leather dog collar is also available if you would like the set. 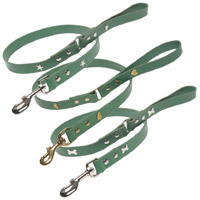 These dog leads are double riveted at the joints and they also feature a metal 'O' join between the lead and handle. This gives the lead more flexibility and also means you can clip the lead around your waist or shoulders when your dog is running free and the lead is not in use.